At Cancer Treatment Centers of America, experts join together to analyze and discuss each case, and decisions are made as a team. It is a different approach to healthcare, and I wanted to be a part of it. 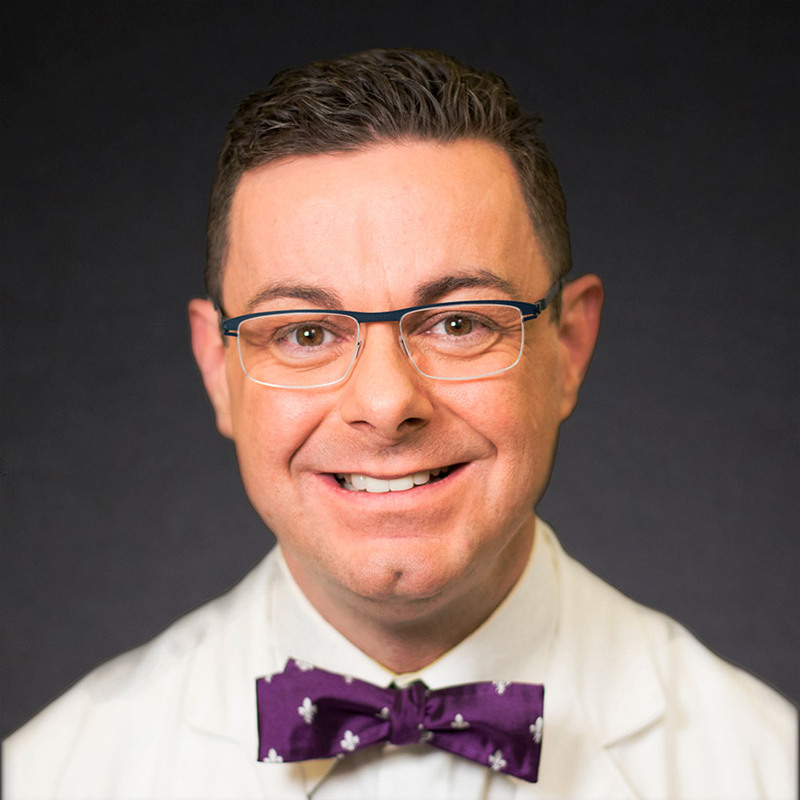 Dr. Sean Cavanaugh joined Cancer Treatment Centers of America® (CTCA), Atlanta, to maintain his focus on the patient’s well-being as a top priority. "At CTCA®, the difference is teamwork," says Dr. Cavanaugh, who is Director of the CTCA Genitourinary Cancer Institute and Chief of Radiation Oncology at CTCA Atlanta. “Here, the physicians truly work together on the same team to help our patients." After joining CTCA in 2012, Dr. Cavanaugh launched the Brachytherapy Program at our Atlanta-area hospital and helped grow the Radiation Oncology Department. He has chaired the hospital's Prostate Center for Advanced Oncology and Prostate steering committee. Dr. Cavanaugh also graduated from the hospital's Physician Leadership Program. Dr. Cavanaugh earned his medical degree from Texas Tech University Health Sciences Center in Lubbock. He then completed an internship in General Pediatrics at University of Texas Health Science Center at San Antonio, where he also finished the B. Leonard Holman Pathway Residency in Radiation Oncology. Prior to CTCA, Dr. Cavanaugh worked in private practice for seven years in both Texas and Georgia. He is an experienced radiosurgeon, operating on both extracranial and intracranial malignancies. Dr. Cavanaugh regularly performs high-dose rate and low-dose rate brachytherapy, as well as all aspects of highly conformal external beam radiation therapy. Dr. Cavanaugh is certified by the American Board of Radiology. He has been published in numerous journals, including Urology, Prostate Cancer, American Journal of Brachytherapy, The International Journal of Radiation Oncology, Biology and Physics, and Technology in Cancer Research and Treatment. "I take the fight against cancer very personally,” says Dr. Cavanaugh, whose brother and father are both cancer survivors. "It is my privilege to care for my patients in the most advanced and compassionate manner possible." In 2011, 2012 and 2014, Dr. Cavanaugh was honored with a Compassionate Doctor Certification from Patient’s Choice. He also received Georgia’s Favorite Physicians Award every year from 2009 to 2014, and he received the Patients' Choice Award and the On-Time Physician Award from Vitals.com in 2014. "Appears to be the top person in his field. Very professional and knowledgeable. Personally I think he's a genius!" "Outstanding, so full of knowledge, and willing to take time to answer any and all questions." "Very pleased with Dr. Cavanaugh and the whole staff. [...]"
"Dr. Cavanaugh and his staff are the best!" "Dr. Cavanaugh was amazing. He took time to go over every detail with me in my first consultation without knowing if I would even need his services. He is extremely educated in his field and passed along so much knowledge to me which definitely helped me understand more about my individual case." "I would never recommend anyone else! Dr. Cavanaugh is the Greatest!" "He took care of me and explained everything that was going on to me. Any questions I asked he answered. I would recommend to others." "The very best of the best in all areas, knowledge, compassion, exceptional treatment." "Dr Cavanaugh , was amazing. He explain the scans to us in detail. Dr Cavanaugh has asked the radiologist to go into more detail and do a comparison with my two MRI scans. I am still waiting on that report. Who do I contact regarding this?" "I felt he was an extremely capable Oncologist. And I feel lucky to be in his care." "Just after speaking with Dr. Cavanaugh I felt completely at ease compared to the feeling I had at other facilities"
"OUTSTANDING DR who knows without a doubt about his abilities." "Excellent Physician! He is very good in explaining each procedure and making sure needs are met." "Dr. Cavenaugh talked to us in a way that we could understand, but at the same time, made us feel intelligent enough to deserve an in-depth description of what is taking place. I've left both meetings with him feeling like I am PART of the team, he even referred to me as the president and my doctors are my cabinet of advisors. I feel like a champion before I've even defeated the cancer. Amazing!" "My radiation oncologist was very friendly and showed me my MRI." "Dr. Cavanaugh is the best. I could ask for anything better since I already have this best."